Get it from UNITY ASSET STORE. This is a high quality asset for Unity Game Engine to use in your Game or Architectural Visualization projects. This asset is PBR Ready. It has all the necessary high quality texture maps which makes it realistic and beautiful. 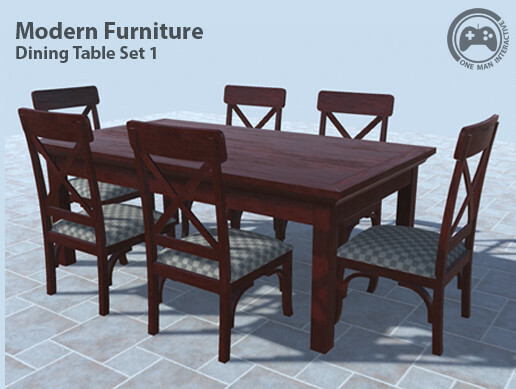 This dining table set has 4 different wood textures to match with your scene’s look and feel.